Can a Person Overdose on Calcium? High calcium levels in the blood lead to a condition known as hypercalcemia, which can have many causes, including calcium overdose. It's not likely that anyone would overdose on calcium from natural food sources, but an overdose of calcium supplements, or other supplements such as vitamin D that increase calcium absorption in the body, can have serious side effects. The symptoms of a single, acute overdose from accidentally or intentionally taking too many calcium supplements or calcium-containing antacids at one time include stomachache, constipation or diarrhea, headache, nausea and vomiting. An overdose can ultimately lead to mental confusion, irregular heartbeat, high blood pressure and coma. For an intentional or accidental overdose of calcium pills, call the National Poison Control Center hotline at 1-800-222-1222 from anywhere in the United States. You should also seek medical help. High doses of calcium supplements, vitamin D supplements, other nonfood forms of calcium such as antacids, and calcium-fortified foods consumed on a regular basis in addition to a high-calcium diet, can lead to hypercalcemia. 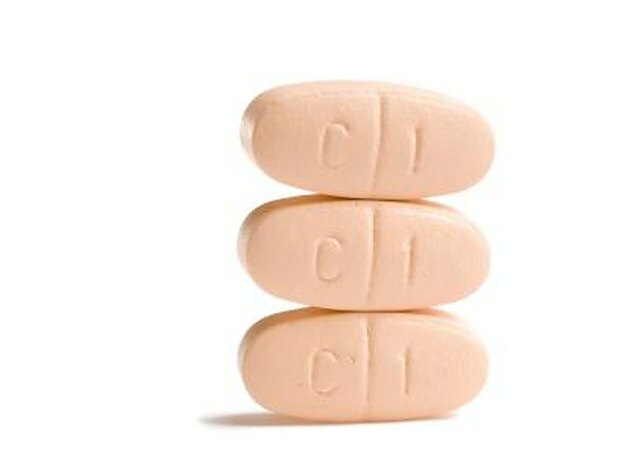 If you are taking a multivitamin supplement that contains 100 percent or more of the daily requirement for vitamin D, do not take a calcium supplement that also contains vitamin D.
Chronic high blood levels of calcium can result in kidney stone formation, kidney damage and failure, abnormal heart rhythms, calcification in areas of the body other than bone tissue, dementia and coma. Too much calcium can also interfere with iron absorption. Symptoms of mild hypercalcemia are almost nonexistent, while symptoms of more severe hypercalcemia are similar to those of an acute overdose. In addition, frequent urination and excessive thirst may signal hypercalcemia. A routine blood test indicating high levels of calcium in the blood may be the first indication of hypercalcemia. If you have mild hypercalcemia, drink plenty of water to prevent dehydration and kidney stone formation. If you have more severe hypercalcemia, your doctor may prescribe other treatments, depending on the cause. Rarely, a condition known as milk-alkali syndrome, or calcium-alkali syndrome, can occur with hypercalcemia when large amounts of calcium and alkali in antacids are consumed to control heartburn or used simply as a calcium supplement. Left untreated, milk-alkali syndrome can lead to tissue calcification and kidney failure. If you develop symptoms of hypercalcemia, report any antacids you take to your doctor.